I like challenges. I accomplished writing a post everyday. I was more thoughtful this year I feel too and improved my writing skill. It got a little harder to write every day around the 24th of the month and my other writing suffered. I still made notes and did a little short story writing but focusing on both would have required more time blocking. Planning a list of post ideas in Feb was a good idea. It saved me on days I wasn’t sure what I wanted to write. It is fun to borrow post ideas from other slicers. They are inspiring. I love my writing teacher tribe. It felt good to expand my writing. I was a guest blogger for the Teachwrite Twitter Blog and was super excited about it. My reading didn’t suffer at all from the challenge but my posts were school focused. I try to mix them up usually between writing, reading, and coach related ideas. Receiving and giving comments is fun. I love the people I connected with this month and hope it continues. I have been tearing through books lately and loving it. Here are some I have read recently. I had heard some great things about this book but it was a little disappointing in my opinion. There were some twists and turns which were interesting. A few surprises were there too. Many references to movies I found annoying. 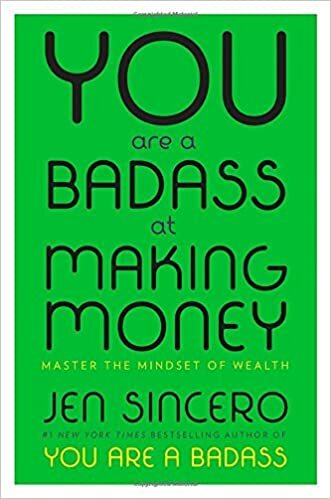 I listened to Jen Sincero’s book on Overdrive audiobook. I really enjoyed her first book. There is a ton of useful information in this book but I felt it was too long. Many concepts were repeated over and over. I liked the narrative pieces but there were too many. 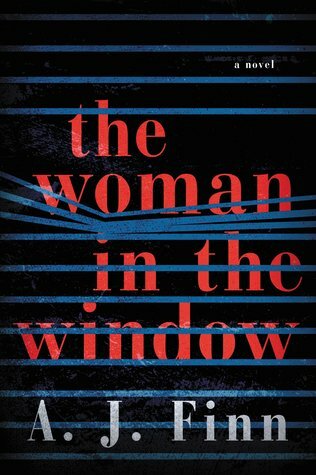 The third book in the Lousia Clark series was a fun read. The story was sweet and I enjoyed the NEW YORK setting. 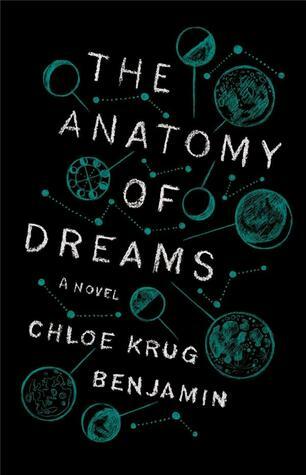 Chloe Benjamin’s first book was much different from the Immortalists. I am fascinated by dreams and this book was full of a dream study and some twists. I enjoyed the main character but felt the supporting characters were not as well developed. Good book over all! Today is the last day before my spring break. I am thankful for the time to be home in the coming days and the drive I do not have to make! 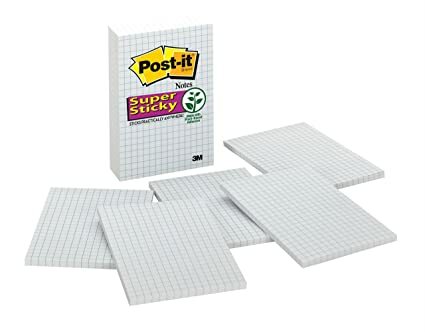 Earlier in the week I purchased grid post-it notes! This purchase has been one of the bright shining moments of the week! I love these and have been using them constantly. I was introduced to them by Lisa Vahey my dear coach mentor! Workshop Wednesday yesterday went really well. I love these sessions. I held 3 yesterday and one team postponed until after spring break. The conversation surrounded reading comprehension in all content areas. I was finally able to use a Stephanie Harvey article entitled: Comprehension at the Core from The Reading Teacher magazine. The article is amazing and packs a lot of information about strategic reading in 8 pages but the best part is the Comprehension Continuum. The continuum lists out questions to use for comp categories ranging from literal questions to actively using knowledge questions. It is an amazing resource. I had a think sheet for teachers to use and then be able to use with kids at a later date. It was a SENTENCE/PHRASE/WORD think sheet. I had the teachers use it to record from skimming the article during the PD. Each set of teachers had a great discussion about the balance between doing what is instructed and what is best for kids – it isn’t always the same thing. We talked about reading in all classrooms and how it is our responsibility to connect that reading is thinking. As always, stories about students were prevalent and we had a few laughs – and a few pieces of chocolate! PD and these professional conversations are the favorite part of my job. I want my teachers to remember they are powerful, but they are also supported! The work we do every day can be exhausting and sometimes thankless. When they know better, they do better, and that is always my hope for them! I use it when I model lessons for teachers. I use it when I am asking students about text. I use it during a brain drainer [defocus to refocus] to reflect on a quote from Marianne Williamson. I use it when I debrief with a teacher after a visit. I use it with teachers when examining student work. What is your favorite question to ask?? A bonus question: Instead of What do you do? I like to ask: What are you most passionate about? What gets you out of bed in the morning? I have lived in Indiana my whole life. I hope to move to Minnesota within 5 years though. I knew that if I didn’t leave Indiana after college graduation I would stay here for the long haul. I am a runner, but have been running less than 10 years. I have raced distances from 5K to 50 miles. I never thought I could run. It was the Biggest Losers Fault. I believe in lifelong learning. I really do. It isn’t just something that sounds good in an interview. I believe reading is the gateway to everything. I used to be a Pampered Chef consultant – when Doris owned the company, not Buffet. I loved it. I was able to cook and not go to the grocery store! I pay attention to everyone’s shoes. One time I went to a beach pole vaulting event in Michigan and all the comments I made were about the vaulter’s shoes! I always have a book with me. At this point in the school year we all get so overwhelmed with all the tasks being thrown at us. I find it best to start at the beginning when I am feeling overwhelmed. I have been thinking about this question myself. When I first started, why did I become a teacher in the first place. I often turn to this quote when I start to question if I am making a difference. I loved school growing up. I played school at home. Later I wanted to be the teacher of reading and writing that I did not have when I was in school. I believe it is the gateway to everything else. The world makes more sense to a reader. I want to help create lifelong learners – not because it sounds good in an interview, but because I truly believe it with everything I have. My teachers filled out their answers on a bright orange post-it note and they are all hanging proudly on an anchor chart in my office. I find myself wandering over there and rereading them a couple times a day. I continue to support them as a coach. Some days it is reminding them about the few sentences of writing on an orange post it. It can make all the difference. My husband and I bought plastic hockey sticks at the resale shop last week in anticipation of this weekend. We moved all the furniture and had one on one and two on two hockey games. It was super fun and super competitive. Best $8 we’ve spent in a long time. The goals are corning ware bowls so when the puck hits them there is a ding! Everyone had to wear shoes because it hurt your toes if the puck hit it! It is added to the repertoire of games. House hockey is right up there with crazy hot potato! I used to remember vivid dreams with no problem. Now, it seems I dream but as soon as I wake the story is gone. Past dreams I have written down have become stories. I used to dream of roller coasters and driving all the time. Weird trip sequences too. The question of the day is…Do you remember your dreams? My wellness teacher teaches an archery unit to her 8th graders. It is a fantastic and motivating unit for the kids, but also fun for the adults in the building. She always blocks out time for the teachers to shoot. She is very organized and has an 11 point list of actions for the shooters to follow. Safety is first always. This morning first hour I was able to shoot a dozen arrows and remember what it feels like. I had to be reminded of the procedure since I hadn’t shot since last year. I am obsessed with bows and arrows though. Archery is an advantage to coaching in a middle school building. It was the highlight of the morning! At a training a few weeks ago the presenter reminded a room full of coaches that the teachers needed to do the work, just like our students. Although coaches mean well, sometimes we do too much work and then are frustrated when there is not ownership for the data or learning. I have been working to have differentiated trainings and coaching and trying to improve. Yesterday was the district’s regularly scheduled PLC time. I had planned to go a gallery walk with questions pertaining to 4 chapters in the Eric Jensen book Poor Students, Rich Teaching which is a district initiative. I used a STAND UP SIT DOWN braindrainer to bridge the gap from the teaching day to learning time. Next I explained the procedure. All teachers were given a book but a couple could not find theirs. I had made some copies so no one would be without text. As teachers, we expect behavior from students but do not always give them time. Reading is important. To honor this idea I have the teacher time to read the chapter as part of the PLC time. I am honoring the reading with the time. I am hoping some of the teachers do the same in their classes even if it is only 10 minutes of reading time. I had a sketchnote type exit ticket for teachers to make notes on and use for the discussion with the other staff who chose the same chapter as they did. I collected them and will make copies and then return the notes to them. Last, the groups shared out some key takeaways to the whole group. I had the youngest person in the group responsible for sharing. The PLC went smoothly and the group discussions were insightful and on point. I had two teachers come up at the end and say they appreciated the time to read. At first she was irritated that I was making them read but once she started she really was able to absorb the information. Another teacher made connections from a previous presentation on Jensen but said he got more out of it with him having to do the work rather than being “talked at”. I really would like to connect with some other coaches and how they do their PD with their teachers. Please email me at tammybreitweiser@gmail.com or make a comment with your contact info below! Sharing some resources and setting up a Twitter chat would be awesome!